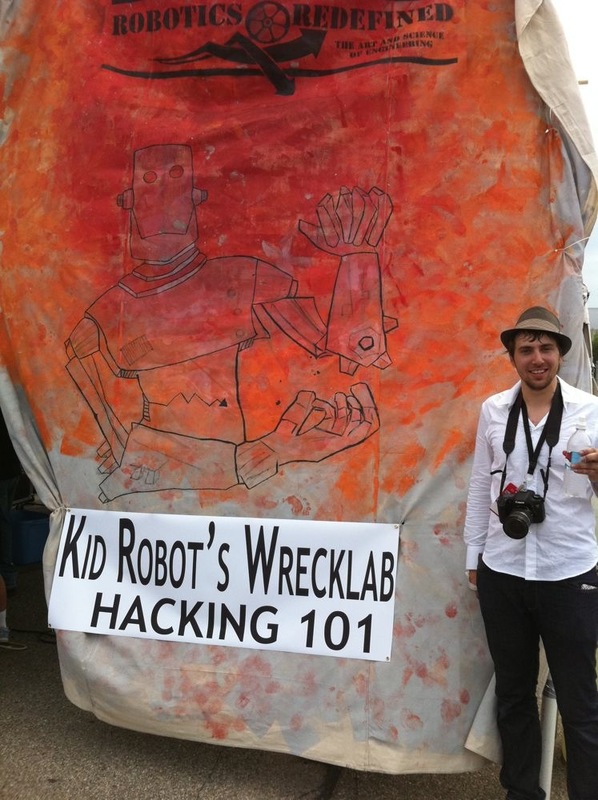 I was in Detroit this past weekend for Maker Faire Detroit 2010. It was held at the Henry Ford Museum (look for an upcoming post about this incredible museum) and I'm guessing 20,000 people showed up. There was a great deal of excitement and energy in the air, and I went home with the feeling that Detroit is going to rise to greatness again very soon. 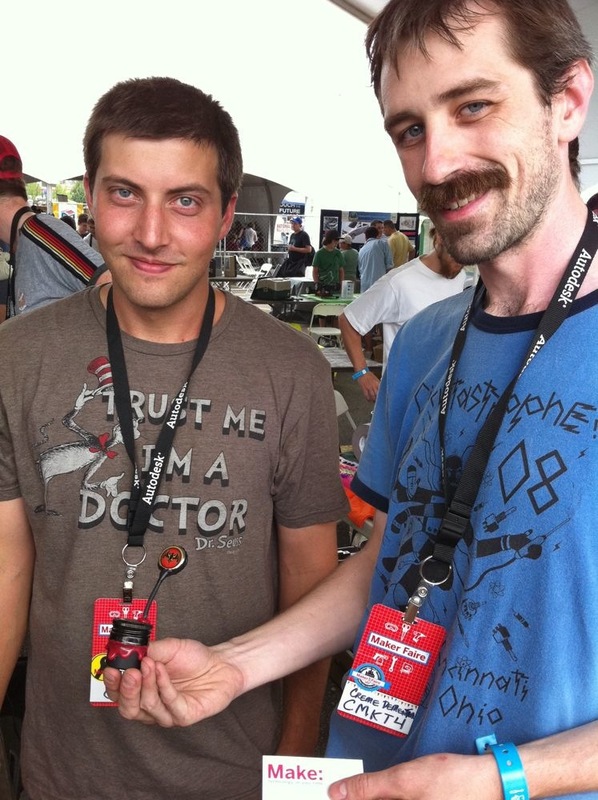 I met a lot of terrifically inventive makers in Detroit, and I managed to take photos of a small fraction of them. These three boys are about to enter 6th grade. They demonstrated their Blackjack dealer robot, which sensed the presence of players sitting at a table and dealt cards to them. 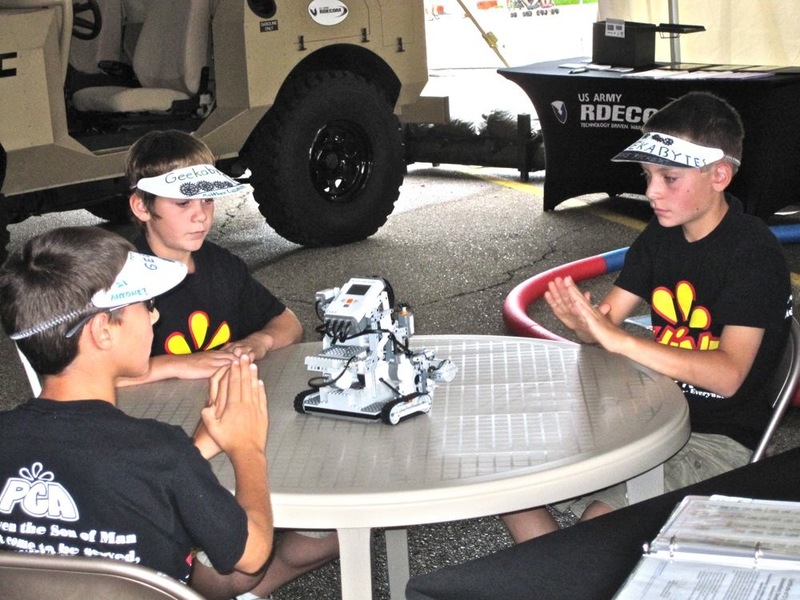 It worked flawlessly, and won first prize in a Robotics competition held by the US Army RDECOM (I served as a judge in the competition). Chad Chenier showed off his home-built chicken farming equipment, including a chicken tractor and his "Easy Chicken Plucker" made from a cheap drill, a PVC endcap, and the ends of 3 rubber bungee cords. 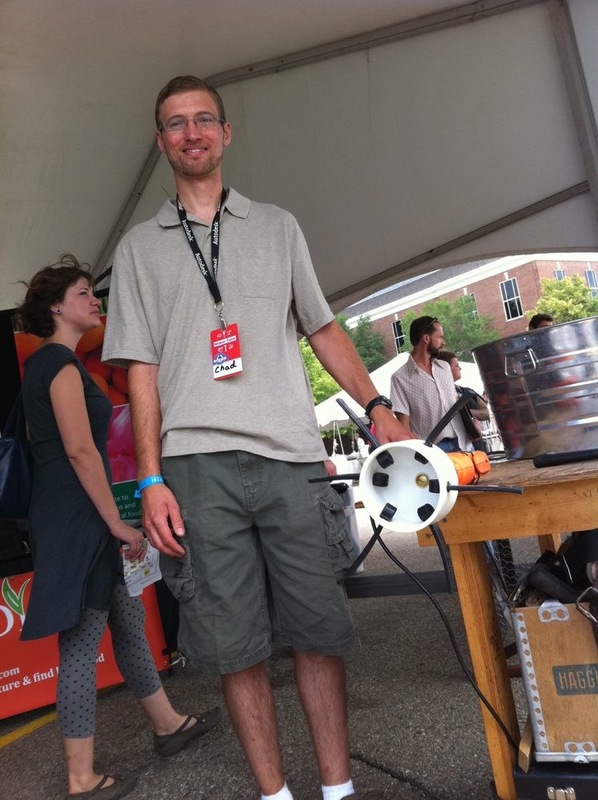 Andrew Archer, 22, founded Robotics Redefined, a robotics and motor controller company in Detroit and Ann Arbor. He's profiled in MAKE Vol 23. Tim Marzullo and Greg Gage are graduates of the University of Michigan. 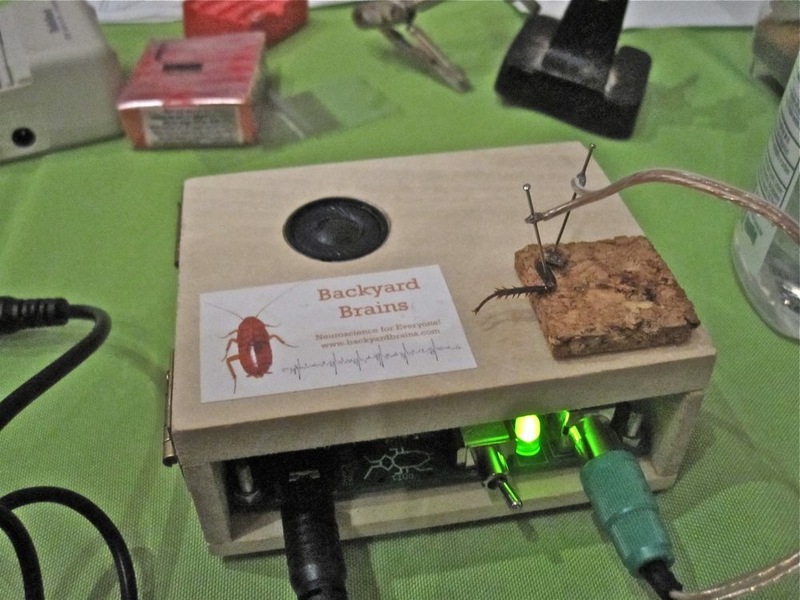 Their company, Backyard Brains, sells a $50 kit called the SpikerBox that filters and amplifies the electrical impulses of cockroach neurons. 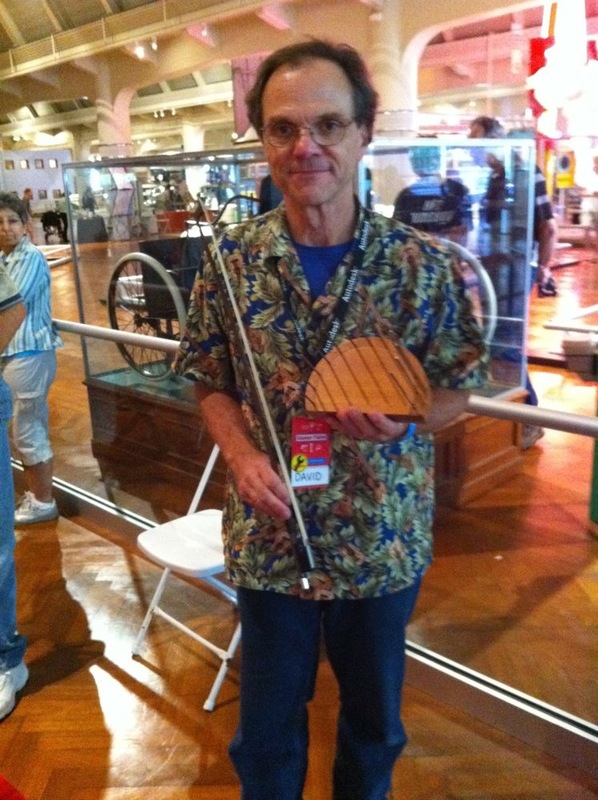 David Smith makes beautiful handmade instruments, including cigar box ukuleles and this surprisingly sweet-sounding wire violin. Video of wire violin. 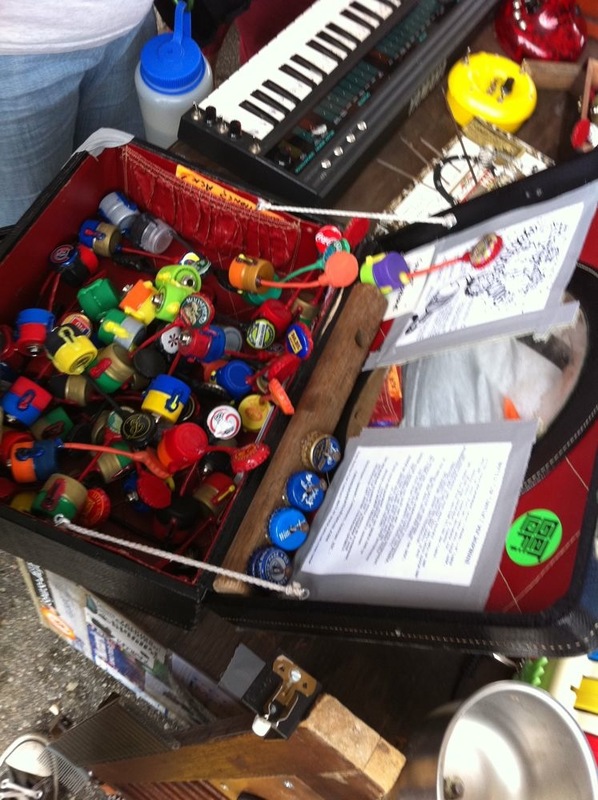 Circuit bender Creme DeMentia had plenty of $15 bottle cap contact microphones on hand, which was a good thing because they were selling like hot cakes. 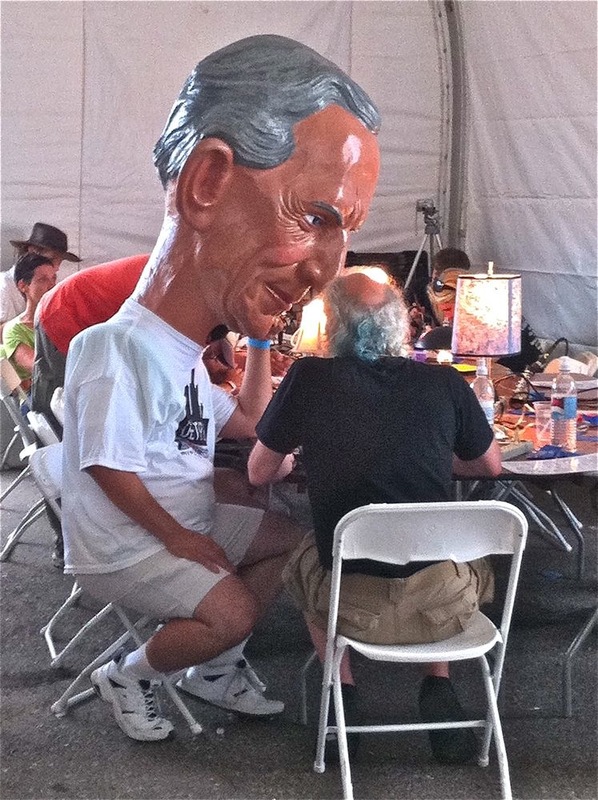 TV-B-Gone magnate Mitch Altman taught a nightmarish giant-headed Henry Ford how to solder. 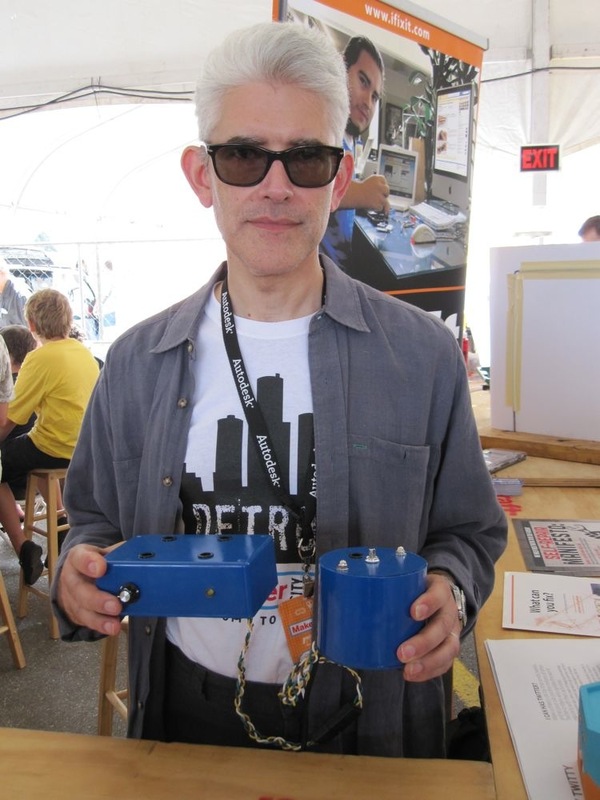 Ross Hershberger -- who wrote the article in MAKE Vol 23 about how to make a Squelette, an inexpensive, great sounding bare-bones amplifier -- brought along an earlier version of the amplifier. Alix Stuart, age 19, was homeschooled. 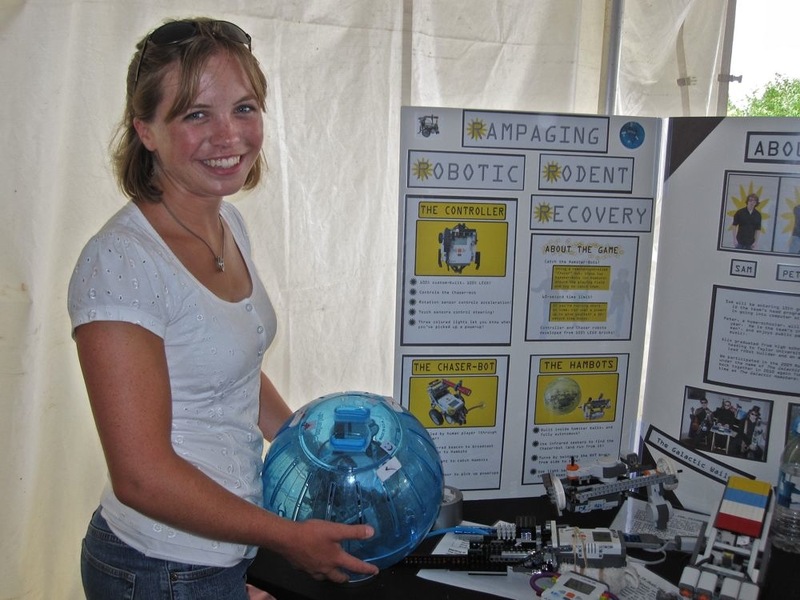 She's about to attend college as a music major, but also likes to build robots like this spherical critter designed to run away from a "chaser bot" built by her friend. 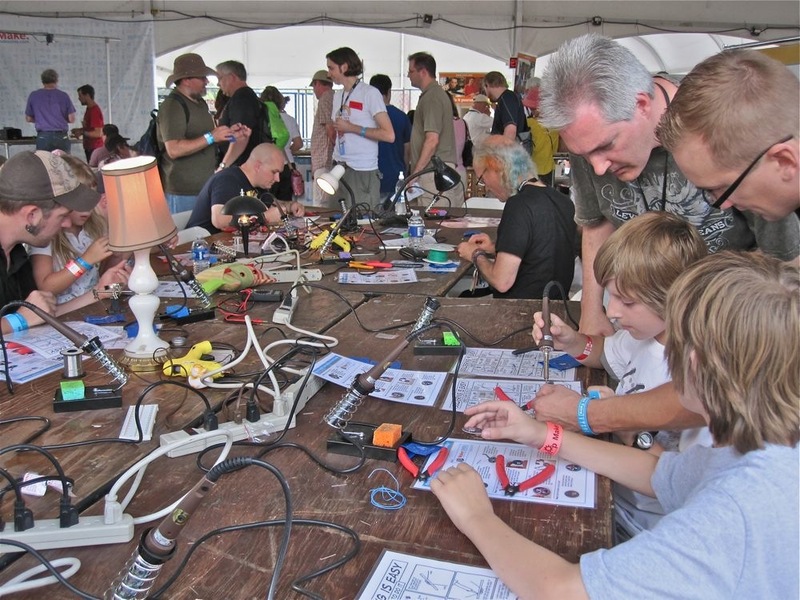 If you're sorry you missed Maker Faire, don't fret -- you can buy your tickets now for Maker Faire New York, which take place on September 25 & 26!